Whatever hair you have, it will benefit from a hot oil treatment. Hot Oil Treatments help to nourish your hair follicle, soothe any scalp issues and may also temporarily mend split ends (but you do need to snip split ends off at some point). Those dry lips sometimes need a bit more than a balm. After a lip scrub, add a drop of Coconut Care on your lips and allow for the oil to seap into your dry lips for that extra nourishment. Seal that goodness with your normal balm. 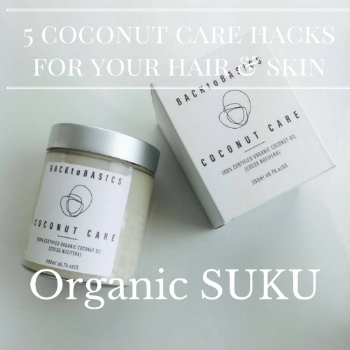 Coconut Care can be used as a moisturiser for your face (dry skin) or body. It absorbs quickly and is non-greasy. It's also a great cradle cap deterrent for your new born. Coconut Care tells you when the seasons have changed. There's only two seasons when you have it, MELTED or SOLID!